The Via Egnatia is an old roman road we had been crossing and following since we entered Albania. Via Egnatia was the first road build by the romans outside Italy. We found it a nice thought that people had travelled this way for thousands of years and now we were here as well. Ohrid we left after celebrating Martins birthday by enjoying lovely local food. Ohrid proved to be a nice Macedonian (FYROM) city, a bit touristic but still small and relaxed. 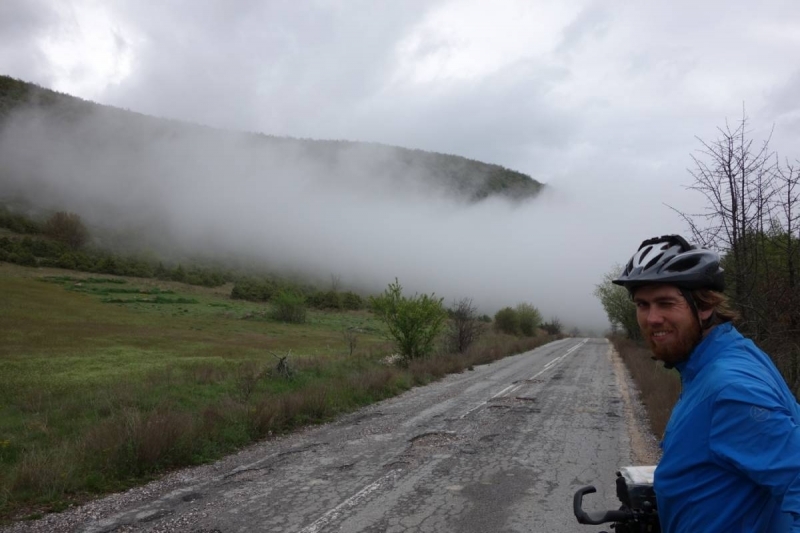 From Ohrid we went south east around lake Ohrid over a nice mountain pass to lake Prespa, weather was turning worse and we had rain and more rain so we slowly opted for the easy roads and going faster as scenery was not that spectacular. Bitola was our last city before we left Macedonia (FYROM), here we were surprised with an old roman settlement Heraclea Lyncestis which is now an open air museum. We used some time there and was treated with easter eggs (boiled eggs coloured red) and a liter of milk from a nice lady that had lived in Germany and wanted to share with us. On to Greece where we had planned a route trough the north of northern Greece as it is nice and green and should have great spots for wild camping. We changed this route choice as weather was not changing and the hills were steep. We went south instead to the mediterranean coast of Greece avoiding the mountains and weather was still bad. Passing by Thessaloniki we were hit by the most rain to date, streets were flooded and we were cycling through sewage filled streets. Well we pushed on and in the afternoon the rain stopped and we could just set up camp before it started again. As we were closer to Turkey and Istanbul than ever, we decided that we would skip through Greece and be in Istanbul as soon as possible. This ment some longer days on the bicycle than we were used to. Cycling past the Via Egnatia we met a few people on a pilgrimage, walking the distance from Durres to Istanbul/Jerusalem in stages every year, these conversations were a nice break in our biking on mode. In Kavala we thought it could be nice with a day off the bicycles, so we looked for a cheap place to stay cheapest was 50€ a night, for Kavala that was too expensive for us, as we just needed a shower. We had a gyros, which by the way had become a tradition for us in Greece to find a gyros either before lunch or as lunch. Gyros at 2,3€ and is a nice snack 🙂 We found our gyros, did groceries and set out of town, we tried to avoid the main road out which was not so easy and we where a bit disappointed that there was no rest day in sight. In the chaotic traffic and disappointment a greek guy came with two bottles of fresh pressed orange juice to cool us down and it worked, we could smile all the way out of town :-). We were moving fast towards east and the road was direct, we opted for a road south of the main road under the lake Vistonida, a national park area which looked nice and green on the maps, well mainly green farmland and some national park area, anyway road was good until we reached a small village and the road stopped and turned in to a track, we were lead here by the openbikemap on the Garmin GPS and we had missed that the route was following a track… We were standing there on a the dirt road on the edge of the village and of course we got company of a couple of angry dogs. By now we are used to these dogs and chase them away, we thought at least. We were about to continue down the dirt road and then we heard a sound from behind us, we turn around and the most aggressive dog is now a meter or two away sprinting towards us, instinctive we react with loud screams, the dog stops for a second and we reach for our stones and chase him away for real this time. Some locals help and this dog stays away. A little bit shaken up we get directions from the locals and set of on the dirt road. 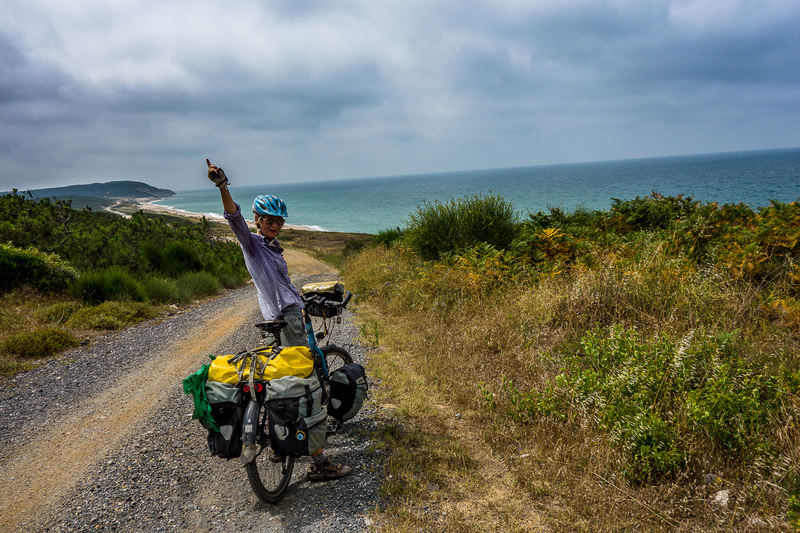 We made it back to the main road the next day (of course it rained again so the bikes got very muddy on the dirt track…) and passed by Alexandroupoli where we were met by a greek, Stratos, living in the Netherlands. He wanted to invite us for lunch so we went for gyros in the best gyros place of the city, what a nice gesture and we enjoyed late lunch. Next day we crossed the border to Turkey and left EU, this was a easy border crossing. Susanne had to buy a visa 25€ and Martin due to his Danish nationality could go for free. 1st of May and we were in Turkey we were excited. 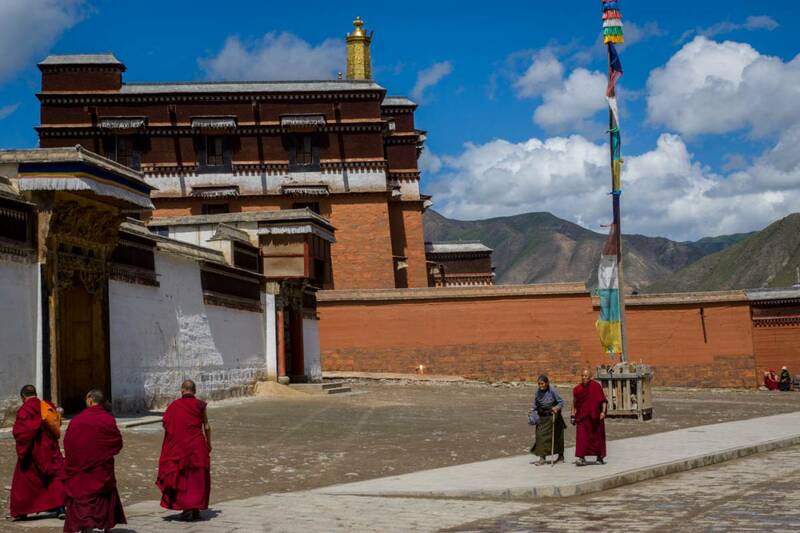 D110 was the road of choice not really made for cycling but it was not as bad as expected. 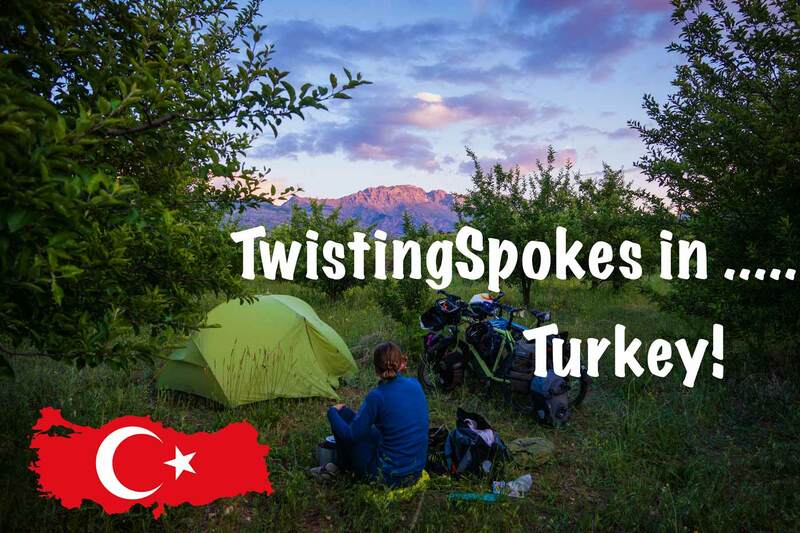 The road is busy and hilly and a straight forward to Istanbul, wild camping along the way is not always easy but can be done, see map for our spots. Istanbul mile stone 2: we reached Istanbul after 4 days on the busy roads of D110 and D100, we were really excited to have reached Istanbul and on our way to Asia. What we have been up to in Istanbul you can read about in the blog post for Istanbul which will follow soon. Ha, wat ik nog mis is hoe lang jullie er over deden. (Dat staat heel vaak niet in verslagen gek genoeg). Zijn alle vlagjes op de kaart kampementen? wij hebben elkaar ontmoet in Pompeï èn bij/op de boot van Bari naar Dürres. Aan deze ontmoetingen met jullie bewaren we een leuke herinnering. Jullie zijn bezig aan een prachtig avontuur. We hebben e.e.a. gevolgd via jullie mooie en volledige website. In Albanië scheidden onze wegen en wij vervolgden onze weg naar het noorden. Wat een regen is er gevallen op de Balkan, hè. Op 13 mei j.l. zijn we weer thuis gekomen, na een fantastische reis van 2 maanden. We mijmeren alweer over nieuwe reisplannen. We wensen jullie veel fietsplezier en mooie ontmoetingen. We blijven jullie volgen. Blijf gezond en ……niet meer vallen hoor! Hallo Susanne en Martin, wij zijn Jeannet en Martien, wij hebben elkaar ontmoet in Griekenland, jullie op de fiets en wij lopend met een kar achter ons aangezeuld. Leuk jullie bericht te lezen, ik mis wel de foto die je van ons hebt gemaakt. Jullie zijn een andere grensovergang gegaan als wij, wij zijn via de hoofdweg gegaan en mochten niet over de brug lopen. De grens was een brug over de rivier. Wij moeste een lift zoeken hetgeen niet gelukte, dus toch maar proberen om via de brug de grens over te steken. Wij werden tegen gehouden door twee jonge soldaten met geweer in de aanslag. Die ene soldaat zag het probleem maar we moesten maar wachten tot iemand bereid was ons mee te nemen. Toen er een bus aankwam hield hij hem tegen en vroeg of zij ons mee konden nemen. De chauffer gaf toestemming en leide tot groet hilariteit in de bus. Achteraf was het een zotte maar leuke ervaring. Groeten van Jeannet en Mart uit Holland want wij zijn dinsdag 13 mei weer thuisgekomen.